NASA this week said it would look to the public for cool ideas on how to build a sustainable environment on Mars with the best plan earning as much as $5,000. With the Journey to Mars Challenge, NASA wants applicants to describe one or more Mars surface systems or capabilities and operations that are needed to set up and establish a technically achievable, economically sustainable human living space on the red planet. Think air, water, food, communications systems and the like. Given spacecraft limitations on weight and volume -- and a minimum 500 days between resupply opportunities -- innovative solutions are required for a mission to Mars that is not dependent on Earth for resources.\ NASA said it expects to make up to three awards at a minimum of $5,000 each from a total award pool of $15,000. NASA is working on numerous systems to support a Mars mission. This includes Solar Electric Propulsion, the rocket expected to launch the mission – the Space Launch System and a number of current and existing robotic landers such as the Curiosity rover. 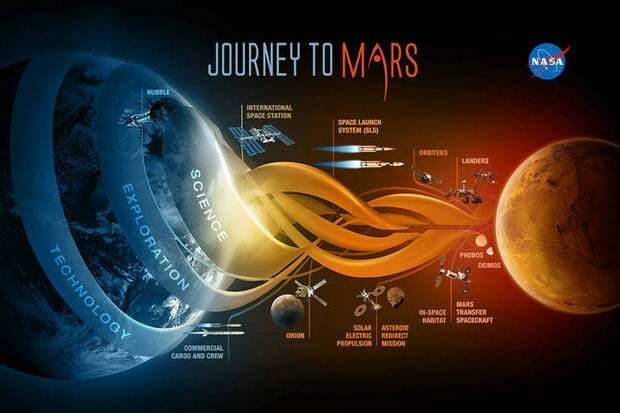 Much more planning and money of course will be needed if NASA is to get humans to Mars sometime in the 2030s.